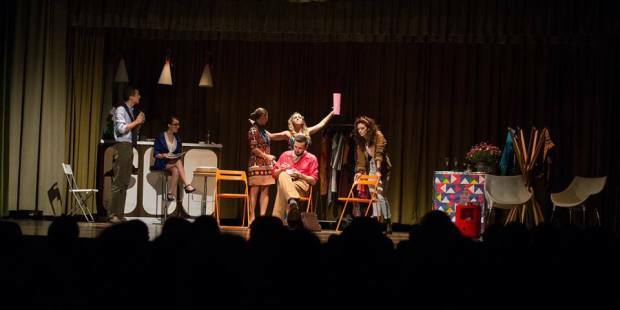 The Theatre Company “i Birbanti” was born in June 2011 , founded by Alessandro Onorato , Chiara Verga , Luigi Leanza and Antonio Minnici . 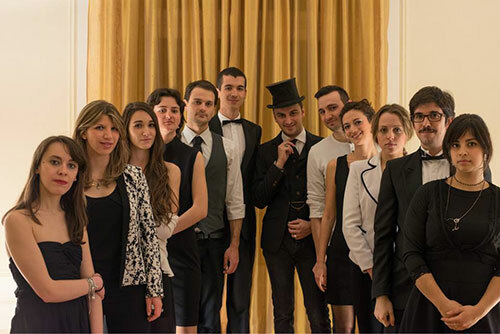 The Company was born with the aim of mixing different artistic languages ​​on stage , exploring the boundaries of the Theatre of the Absurd and revive classical texts in modern key . 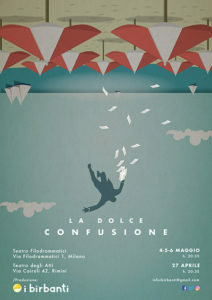 The debut came in 2012 with the original comedy ” Despite everything, love ” , staged at “Politeatro” Milan . 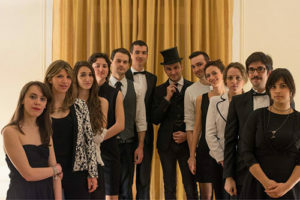 2013 was a hectic year for the company : the Birbanti return to the scene with the unique ” Long Night in Casablanca “, an absurd reconstruction of the movie by Michael Curtiz at “Teatro Silvestrianum” and ” K. Faust “, the first of several studies of the company on the text of Marlowe . 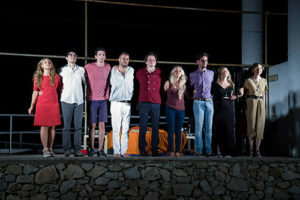 ” K. Faust ” debuted during the “Teatro della Memoria” review, where it won five awards : ” Best Setting ” and ” Best Costume Design ” for the duo set designers / costume designers Maria Ludovica Virzi and Ludovica Riva, third place for ” Best Actress ” for Chiara Verga in the role of Mephistopheles , second place for ” Best Director ” Alessandro Onorato and third place for “Best Performance ” for the company . The show will then move to the “Teatro Silvestrianum” . The second study on Faustus, called ” Kalissa F. ” was released in May of 2014 , debuting in reduced form during the festival of independent theater in Milan ” IT Festival ” , where for the first time the theatrical language mix with those using film projections. 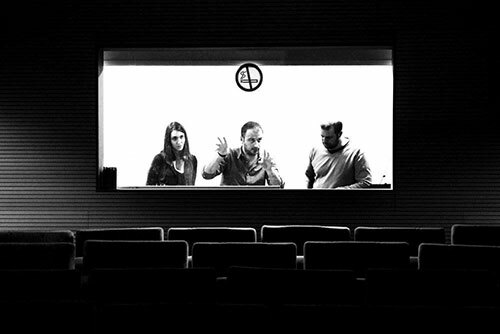 A few days after leaving the third study : ” Kalissa , the Damned ” starting from the Auditorium of Vittorio Veneto. 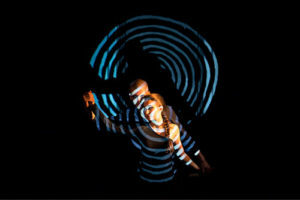 The fourth and final study on Faustus, in English , is instead ” Kalissa Faust” , which will be staged in the Camden Fringe Festival in London, where he received great appreciation from the international audience. 2014 is also the year of the show ” Do not shoot at the actors ! ” , based on the play by Woody Allen ” Bullets Over Broadway ” but set in New York of the ’70s .